Sienne played in the water and laugh and talked about feeling bad for Sammie, because he was't home, so he was missing out on this. We stayed to the sky turned lilac and pink and when the dark was everywhere we walked to the little harbor and got an icecream. Sienna ended up going to bed way to late, but who really cares when we werw having so much fun. Sunday some weeks ago we returned to Vallensbæk Strand with a shovel and a greater purpose. I had to take some pictures for my editorial for Enfants Terrbles Magazine, so we combined this with our Sunday stroll. After after we had almost buried Sammie in the sand and dug a hole so deep that Sienna could stand in it, we went for a walk along the beach while the twilight took over. Giddy by the fresh air and play, Sammie tried to eat seaweed and did stunts down of large piles of it. People must think we are very strange when we arrives to do crazy stuff, with kids who shout of joy and playfulness. The sun had gone down before we got back to the car and returned home - once again happy for this great tradition. Last week Denmark was hit by two storms - the one on Saturday call Egon. So we decided to experience natures power and took a walk at Vallensbaek Beach Saturday. I was an amazing walk with wind and light rain but it wasen't really cold, so we could go for a long walk. 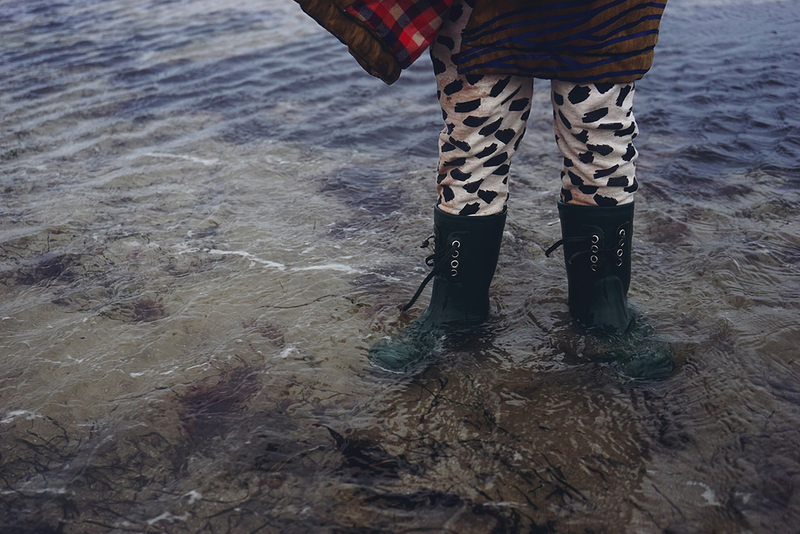 The kids loved to shout into the wind and feel its power and Sienna kept standing in the water in her rubber boots.